Dr. Stuart Hart is one of the world’s top authorities on the implications of environment and poverty for business strategy. According to Bloomberg Businessweek, he is “one of the founding fathers of the ‘base of the pyramid’ economic theory.” He is the Steven Grossman Endowed Chair in Sustainable Business at the University of Vermont’s Grossman School of Business and Co-Founder of the School’s Sustainable Innovation MBA Program as well as S.C. Johnson Chair Emeritus in Sustainable Global Enterprise and Professor Emeritus of Management at Cornell University’s Johnson Graduate School of Management, where he founded the Center for Sustainable Global Enterprise. He also serves as Distinguished Fellow at the William Davidson Institute (University of Michigan), Founder and President of Enterprise for a Sustainable World, and Founding Director of the Emergent Institute in Bangalore, India. Professor Hart has published over 70 papers and authored or edited seven books. 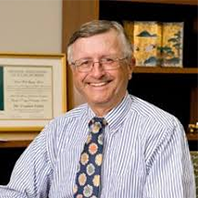 His work has appeared in leading scholarly journals, including Academy of Management Review, Academy of Management Journal, Strategic Management Journal, Journal of International Business Studies, and Management Science, as well as leading practitioner journals, such as Harvard Business Review, Sloan Management Review, Stanford Social Innovation Review, Academy of Management Executive, Strategy+Business, and Foreign Affairs. Stuart Hart has received numerous honors and awards for his work in the area of sustainable enterprise. He is an internationally recognized speaker and has delivered hundreds of keynote addresses on the topic of sustainable business around the world. 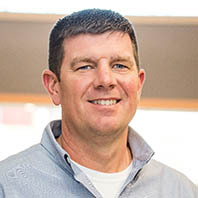 Stuart Hart earned his Bachelor’s degree from the University of Rochester (General Science), Master’s degree from Yale University’s School of Forestry and Environmental Studies (Environmental Management), and Ph.D. from the University of Michigan (Planning and Strategy). The Catholic Ethic and the Protestant Ethic: Competing or Complementary Conceptions of the Public Good? Synopsis: US culture tends to be shaped by two competing conceptions of the public and economic good, both of which have been described in various ways as: “winner take all”, “owner” or “fair play” (e.g., what does one have a right to do) versus “share the wealth”, “trustee” or “fair share” (e.g., what is the right thing to do). These conceptions loosely correlate with the Protestant ethic and the Catholic ethic, which includes elements of the Jewish ethic. Dr. Tropman will explore the juxtaposition of these two orientations; how they impact the distribution of wealth and care for the disadvantaged poor in American society, and how it is sustainable organizations, and societies, must find a balance between the two views. 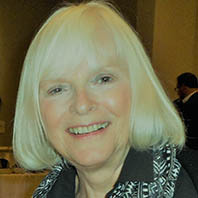 Dr. Tropman is the Henry J. Meyer Professor of Social Work Emeritus, and teaches at the University of Michigan in the School of Social Work, and the Ross School of Business at the University of Michigan. He is also a member of the American Academy of Social Work and Social Welfare. In Social Work, his courses focus on executive leadership and policy development, while in the School of Business they focus on Organizational Design, Organizational Culture, Rewards Systems, and Organizational Change. 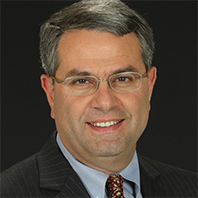 He also teaches in the Executive Education Programs at Michigan and Carnegie Mellon Universities. Synopsis: The people you employ are key to the success and sustainability of your business. By fostering a culture of personal brand development, employers can help key employees connect their personal strengths to the purpose and vision of the organization they serve. During this 45-minute session, Kris will discuss how personal brand programs are built, why they are important, and how they support the success and sustainability of business. Kris Marsh is a former Fortune 500 marketing leader and author of the Personal Brand Playbook strategy, coaching and planning system. Following her true purpose, Kris left the corporate world in 2013 to work toward her vision of enabling others to reach their full potential. She now leverages her experience to help entrepreneurs and family business owners break through uncertainty and build strategies for success. Kris holds a BBA from Northwood University and MBA from Northwood University’s Richard DeVos Graduate School of Management. As a first generation high school graduate, she is passionate about the power of education, and helping others realize anything is possible. You can reach Kris online at KrisMarshConsulting.com. Synopsis: Developing an intercultural mind includes recognition that “bias, stereotyping and ethnocentrism are normal elements of our humanity”, writes Joseph Shaules in his book the Intercultural Mind – Connecting Culture, Cognition and Global Living, 2015. Leaders who desire to run successful and sustainable businesses must be sensitive toward those of other cultures. In this increasingly global environment, they must also develop the ability to be aware of their own unconscious bias and create an inclusive workforce. Marianne coaches executives and emerging leaders globally in personal and leadership development. She assisted in implementing a service program for dealership personnel in Europe for an automobile manufacturer. She was instrumental in leading cross-functional/cross-cultural work teams through the process of identifying, documenting and implementing “global best practices” for product development. For a computer manufacturer she served as a bilingual facilitator in establishing cross-functional teams in Europe. She facilitates intercultural programs and repatriation coaching for families on expatriate assignments and in 2007 received the “Cultural Consultant of the Year” award. She has worked internationally in the education field – as tenured staff at Wayne State University, as Director of International Student Services in a top high school in China and teaching MBA students in Lviv, Ukraine. Grace is the head of Procurement Strategy, Enablement and Governance for DOWDUPONT Agriculture division. Her responsibility also includes future procurement organization talent development. She currently manages DuPont’s $20 Billion spend analytics & global supply market intelligence team and serves as an advisor to the Small Business/Supplier Diversity Council. In 2017, Grace received the most prestigious “S&L Excellence Award”. 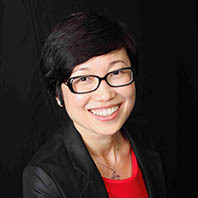 Prior to joining DuPont, Grace was the Director of TE Connectivity- Asia International Purchasing Office in Shanghai. She founded start-ups specializing in Supply Chain Risk Management and Low-cost Country Sourcing. Grace completed her M.B.A. at Wayne State University and received her M.D. degree from Tongji Medical University (China). Synopsis: Responsible companies want to establish chemical standards and practices that go beyond meeting regulatory minimums. Consumers and organizations are pushing for safer chemical formulations in products, which force companies to look at the chemicals they use more closely. A third party chemical hazard assessor pursues full disclosure and handling of confidential business information so that manufacturers can demonstrate compliance with supplier demands and program requirements, without having to divulge proprietary information to outside parties. Join us to learn about the challenges and opportunities in the effort for safer chemistry. This talk will include an introduction into tools to better understand chemical safety information and introduce programs built to deliver safer chemistry such as the U.S. EPA’s Safer Choice, ToxServices’ ToxFMD™, and Clean Production Action’s GreenScreen® programs. 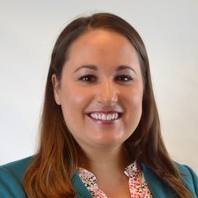 Annie Labut is a Managing Toxicologist of the Safer Chemistry and Sustainability team at NSF International, leading a team of toxicologists that perform chemical hazard assessments for NSF Sustainability standards, EPA’s Safer Choice program, and ToxService’s Full Material Disclosure program. Annie has over 8 years of experience conducting toxicological evaluations in addition to extensive laboratory experience in organic chemistry, biochemistry, and molecular biology. For the NSF Global Water program, Annie has performed toxicological evaluations for a variety of product types such as water treatment chemicals, water filters, pipes, and coatings under NSF drinking water standards. 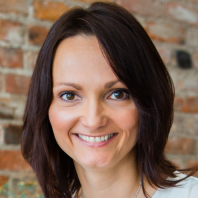 Annie serves on the advisory board for the University of Toledo School of Green Chemistry and Engineering, University of Detroit Mercy Engineering and Science alumni board, and GreenBlue’s CleanGredients advisory committee. She is passionate about developing the next generation of scientists and leaders. Annie earned her M.S. in Chemistry from the University of Michigan and her B.S. in Chemistry from the University of Detroit Mercy. 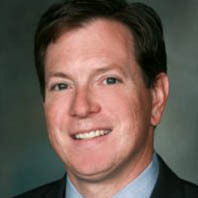 John Chalifoux has served as the president and chief operating officer of MERA, and as a member of its board of directors, since the inception of the trade association in January 2011. MERA is recognized internationally as the organization for companies that view remanufacturing as a core competency. MERA (and its parent MEMA) is the organization behind the Federal Vehicle Repair Cost Savings Act of 2015, the U.S. law that requires federal agencies to encourage the use of remanufactured parts when servicing the federal civilian vehicle fleet. MERA is also the home of Manufactured Again Certification, where manufacturing and remanufacturing are held to the same international quality standards. 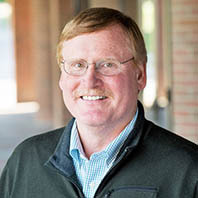 Chalifoux came to MERA from the Original Equipment Suppliers Association, where he served as vice president of marketing and business development. Previously, Chalifoux was a strategy consultant for PricewaterhouseCoopers, and he is an experienced marketing and sales executive, working in the automotive supplier community for Freudenberg-NOK, NTN Bearing and Valeo. He began his career with Goldman Sachs in New York. 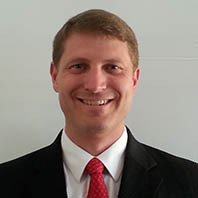 Chalifoux earned bachelor’s degrees in economics and mechanical engineering from Stony Brook University, and an MBA from Michigan State University. He is also a graduate of the NADA Dealer Academy. Synopsis: Vehicle OEMs around the world are envisioning a future that was once the realm of science fiction: autonomous vehicles, alternative-fuel sources, and astonishing technology combined in ways hardly imaginable. In this century of disruptive and paradigm-breaking advances, gone are the days that car companies can simply build a car oblivious to our connected world. Business-as-usual is a recipe for certain demise. It is no longer sufficient in today’s environment to achieve advancing and sustainable business solutions. In this presentation, learn how systems thinking within product development is helping prepare GM for the future. Robert is part of the on-going Systems Engineering transformation at General Motors, bringing his experience of leading large-scale projects in space systems, aircraft simulation systems, information technology, and big data processing to the company. An engineer by training, he brings a technical acumen and an ability to lead diverse team under challenging organizational conditions and in constrained environments. In his previous position, he managed over 100 professionals (military officers, civil servants, contractor personnel) fielding advanced sensors, electro-optical and radar surveillance products, and command and control systems for situational awareness and defense of the continental United States and Canada, as well as an expeditionary system for temporary deployment. His product portfolio represented over $3B of capital investment and on-going development across the system lifecycle, ranging from technology development to sustainment activities. Hid operating budget was more than $300 million yearly. Synopsis: Within a competitive market, cost savings and risk reduction are paramount. What if your company could eliminate or reduce the risk of non-compliance? How much time do you have available to perform a facility walk-through and identify pollution preventative measures that reduce this type of risk? Would your company be willing to invest for a long run cost savings or reduction in carbon footprint? Individuals in a EHS position or tasked with the duties in addition to their normal job are becoming increasingly busy leaving little time for other tasks other than the fire of the day. An Integrated Assessment will give you the assistance in looking at pollution reduction and cost savings for sustainable business practices that today’s societal demands. Prior to his career with the MDEQ, Nathan worked as a fulltime Blackhawk Instructor Pilot and Commander in the Michigan Army National Guard with two overseas deployments. 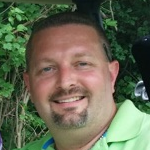 Nathan is a graduate of Michigan State University with a bachelor’s degree in forestry. Nathan has been with the MDEQ since 2012 with previous positions as an Air Quality inspector and stack test observer. His current position performs Integrated Assessments for small to medium sized businesses in effort of foot print analysis, pollution prevention, waste elimination and reduction measures. He also assists with Environmental Management Systems and Life Cycle Assessments. Speaker Card: Your EHS leader already has a full-time job and he or she is becoming increasingly busy, which means there’s little time for anything else. An Integrated Assessment, administered by the MDEQ, will set your business on the right track toward pollution reduction, cost savings and the sustainable business practices today’s society demands. Synopsis: Why does one wear a seat belt? Is it because the law requires it, or is it because doing so could save one’s life in the event of an accident? This scenario represents a context – the law versus what’s prudent – and is analogous to arguments associated with achieving sustainability. Some assume compliance to regulations eliminates all environmental, health and safety (EH&S) risks. This simply isn’t true: Compliance to regulations does not eliminate all risk. Regulations represent what is known at a particular point in time; they’re also the result of a political process. Compliance mitigates some risk; however, if EH&S risks are not continually evaluated and reassessed – beyond what is required by law – the organization may find itself in jeoparcy of seriously degrading the environment, causing health problems for employees, or severely injuring – or worse – killing employees, all of which can be very costly. Understanding the major weaknesses of simply remaining in compliance provides the basis for achievng prudent management of EH&S risks. Product stewardship and life cycle analysis (LCA) are essential tools for going beyond compliance and becoming prudent with EH&S risks. Effective top management teams will use these tools and methodolgies to look across the value chain for EH&S risks, screen these risks for severity and then perform detailed risks assessments to identify risk tolerance levels. Luke Contos is the Principal of SustainabilitySystems, an organization that develops and supports the implementation of EH&S programs, risk assessment processes, and sustainability programs, all of which are designed to improve corporate responsibility and reduce safety, health, environmental and security risks. SustainabilitySystems also designs and directs the development and implementation of a range of global information systems to support the overall information systems program. Specifics include, but are not limited to: metrics, remediation and asset retirement management, behavior-based safety (BBS), and eLearning. Luke holds the BS in Environmental Science, from Springfield College and the MS in Environmental Engineering from The Pennsylvania State University; he is affiliated with the AIAG Corporate Responsibility Oversight Committee, the AIAG Environmental Sustainability Advisory Committee, and is the past Chair of the Greenhouse Gas Technical Committee, among other things.